President Trump’s announcement Monday of District of Columbia federal appeals court Judge Brett Kavanaugh to the U.S. Supreme Court creates a likely win-win for Trump and Republicans. But while the Democratic/media establishment talking points were well lined up ahead of whoever was the nominee, the reality is that there is almost nothing Democrats can do about it. Thanks to Sen. Harry Reid’s short-sighted power play changing the rules on how judges are confirmed when he was Majority Leader, it now only requires 51 votes — or 50 votes plus the Vice President — to approve Kavanaugh. The Republicans are at 51 in the Senate right now. So both pro-choice Republican Senators, Lisa Murkowski of Alaska and Susan Collins of Maine, would have to vote against Kavanaugh. But they have both already voted for him to be on the appeals court, one step below the Supreme Court. They both voted for Justice Neil Gorsuch last year. The likelihood of them voting against him now is remarkably thin. But there is more to the Democrats’ hurdle of blocking Kavanaugh. Five Democrat Senators are running for re-election this November in traditionally red states that Trump won by double digits. Five more are running in states Trump won by smaller margins, including Florida, where Republican Gov. Rick Scott leads Democrat Sen. Bill Nelson in the polls for that Senate seat. (Although Nelson pre-emptively said he would vote against whoever was the nominee — so much for advise and consent.) Their re-elections hinge on being seen as centrists willing to work with the President. But the #resistance wing of the Democratic Party will be firing endless barrages at Kavanaugh and pushing every Democrat Senator to vote against him while hoping to flip one or two Republican votes. Highly unlikely. It’s a bad position for these five Democrat incumbents: Joe Manchin, W.V; Heidi Heitkamp, N.D.; Jon Tester, Mont. ; Claire McCaskill, Mo. and Joe Donnelly, Ind. If they stay centrist in appearance and vote to approve Kavanaugh then their odds of re-election improve, but Trump and the GOP (and America) win the new Supreme Court Justice going away. If they cave to their liberal base, then Trump-supporters in their states will be more fired up to come out and work against them, perhaps costing them their re-elections. Also good for Trump and Republicans. It is just a very long shot that Democrats and two Republicans could stop this nomination. The timing of this fight is beneficial for Trump and the GOP. It’s also imperative to appreciate the historicity of this moment, the opportunity laid before the President and his supporters. Trump’s appointment of Justice Neil Gorsuch has proven to be everything conservatives could want as Gorsuch showed his metal as a Constitutionalist judge, opining based on the U.S. Constitution and establishing a firm, traditional American understanding in his first cases issued two weeks ago. In every one, he was solidly in the line of the late, great Justice Antonin Scalia, whom he replaced. But now, with the nomination of Kavanaugh to replace the retiring Justice Anthony Kennedy, Trump and Republicans have the opportunity to cement a pro-Constitution, pro-traditional American majority on the Supreme Court for the first time in generations. This is not a conservative vs. liberal breakdown in the sense of normal politics, as the media simplistically paints it, but a Constitutional vs. political activist court division. Political conservatives want originalist, textualist judges even if they do not rule on an issue the way conservatives want. Liberals want judges who act as a third law-making body, pushing a progressive agenda. Kennedy was a swing vote on cases, sometimes with the Constitutionalist wing and sometimes with the progressive activist wing. But he himself was not a Constitutionalist. He flopped all around absent a grounding legal philosophy, depending on his personal views of the issue, not the law. Kavanaugh can replace Kennedy as a strong originalist like Gorsuch and cement the Constitutionalist majority. From all conservative Trump supporters to all Never-Trumper conservatives: You’re welcome. 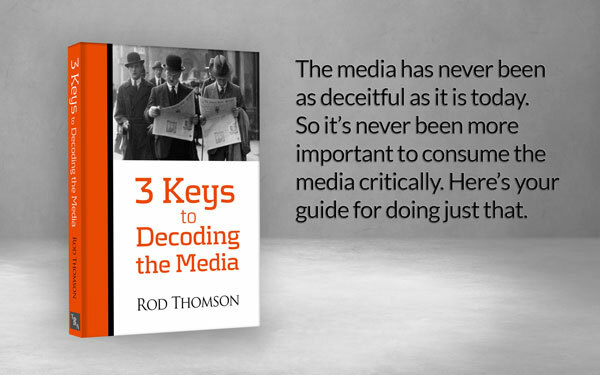 Rod Thomson is an author, former journalist and current TV talking head, and is Founder of The Revolutionary Act. Rod is co-host of Right Talk America With Julio and Rod on the Salem Radio Network. The author has overlooked the spiteful John McCain, who will either not vote or oppose the nomination because he hates the president. It will be 4 liberals, 4 conservatives, and Roberts as the middleman.